Wolfgang Gartner has been releasing electro tunes for over a decade now and still aims to push the genre forward. Following on from ‘Banshee’, his collaboration with K?D, he is offering up his first original production of 2018. 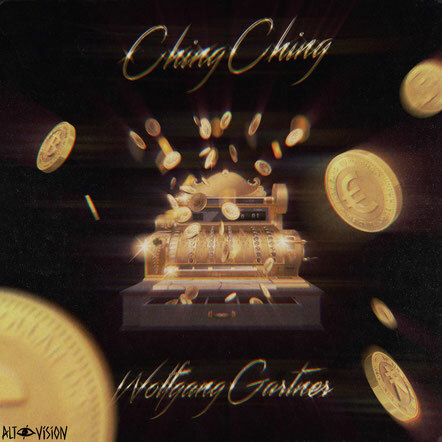 ‘Ching Ching’ is a dancefloor track that's aimed to get you moving and features percussion, hook, and the usual Wolfgang production techniques. The LA-based producer has just released the new single on ALT: Vision Records, in partnership with Casablanca Records. Co-founded by Adam Hirsch and Benito Lugo in 2015, ALT:VISION encompasses both a full-service management company and record label as well as properties Run The Trap and Too Future. Within three years of the company arriving in electronic music, its combined management and label roster includes a diverse list of artists including Autograf, k?d, Medasin, Drezo and more. Casablanca Records, the label familiar with the sound of the ‘70s, now works with a global roster of both established acts and emerging new artists, curating talent from the likes of Stromae, Martin Solveig, Tiësto, and Chase & Status.